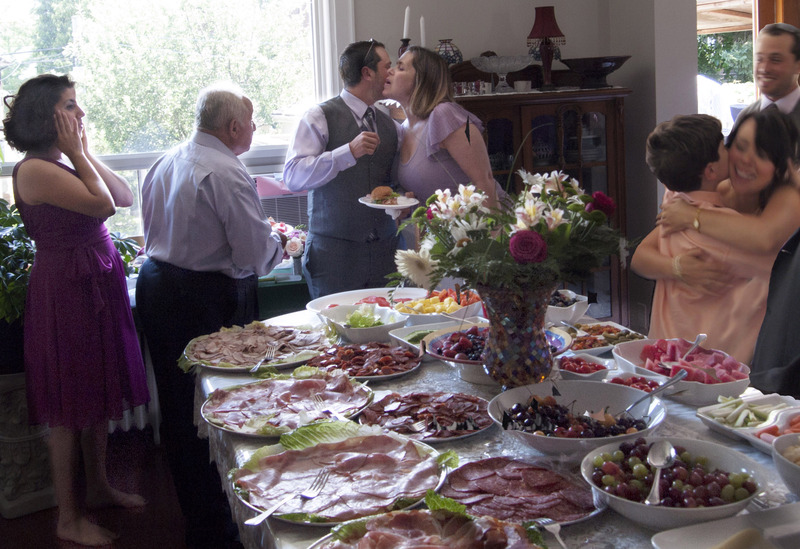 In a house down the street here in midtown Toronto, local and out-of-town relatives arrive and reconnect as they fill their plates with cold cuts and fresh fruit around the buffet table. Upstairs the bride is being fussed over by her attendants. Her dress, designed and hand-sewn by her mother, is oh-so-carefully drawn over her head and orchids are pinned in her hair. Everyone here knows what to expect as the wedding day proceeds. 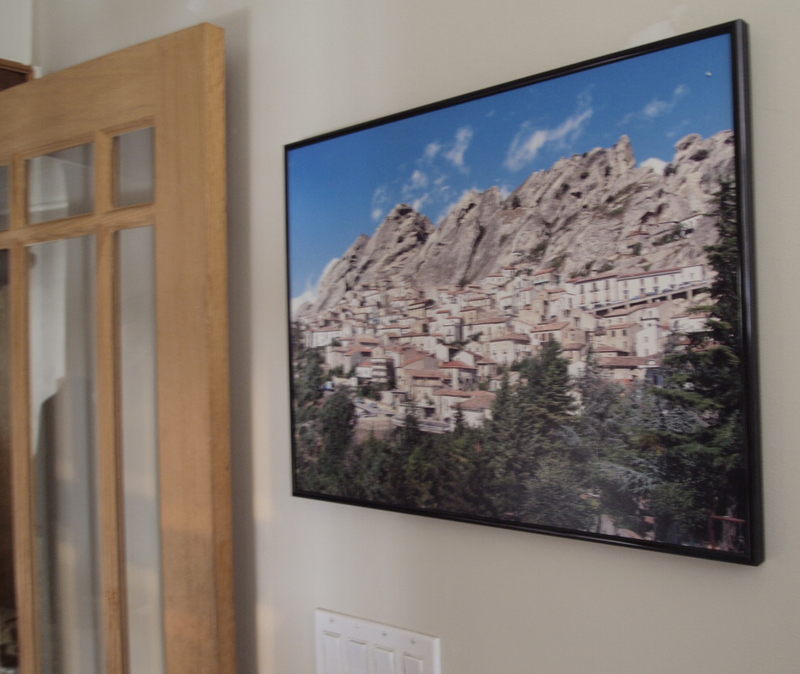 It would be the same in Pietrapertosa, their hometown pictured in the front hall, now or a century ago. A constant stream of people emerge from the front door onto the porch and mill around on the grass outside, photographing each other with their phones while they wait. 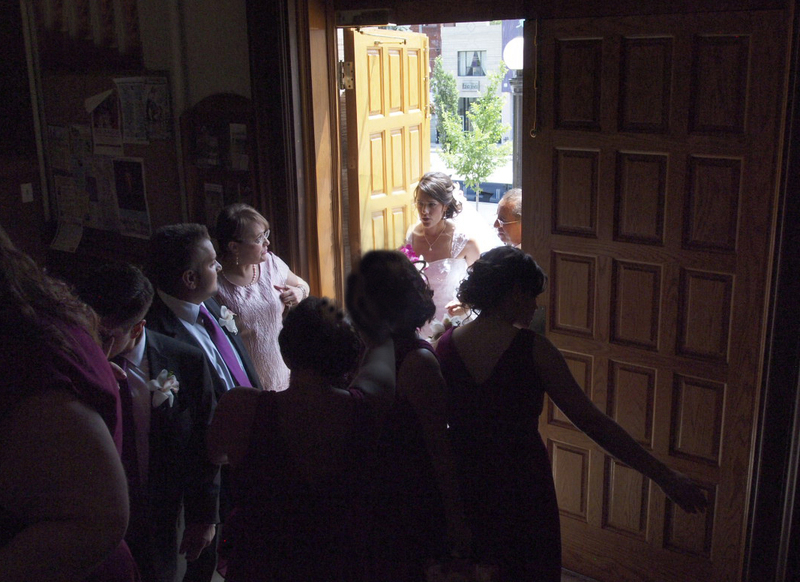 Some hear the rustle and swish of her long gown descending the staircase and jostle for a first glimpse of the bride. 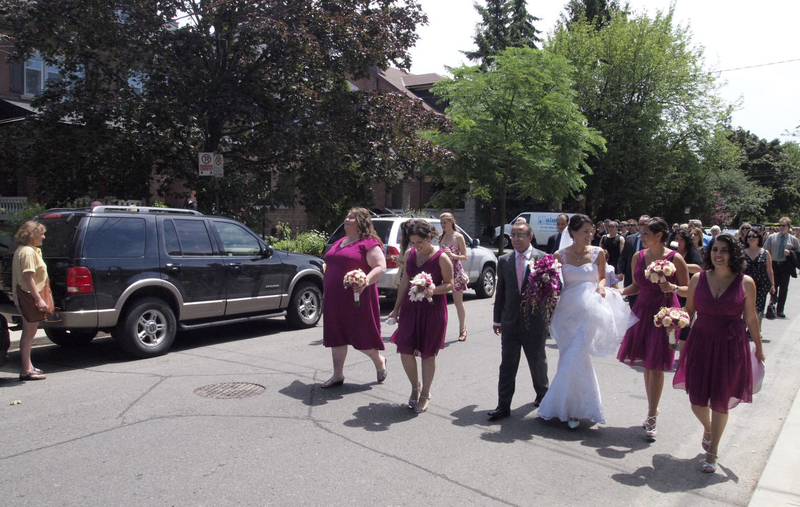 Nonna caresses her cheek, her bridesmaids surround her, she steps forward. 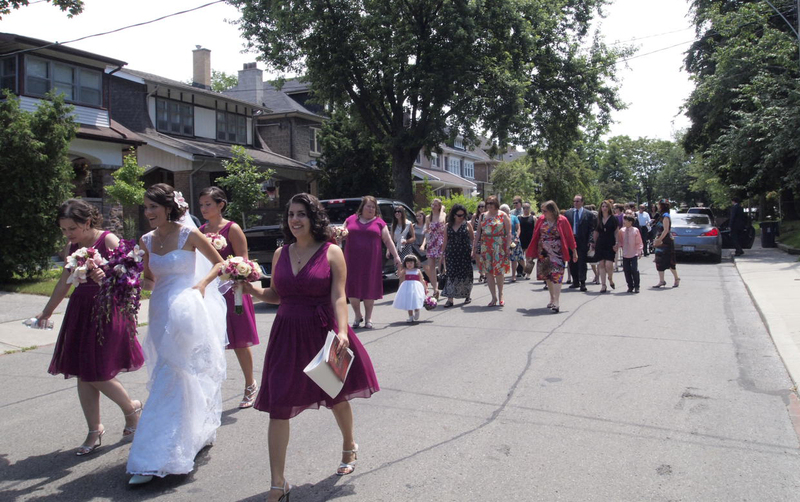 Followed by all her gathered family, the bride and her party leave her parents’ house and together they all walk down the middle of the streets of her neighbourhood to a local church. 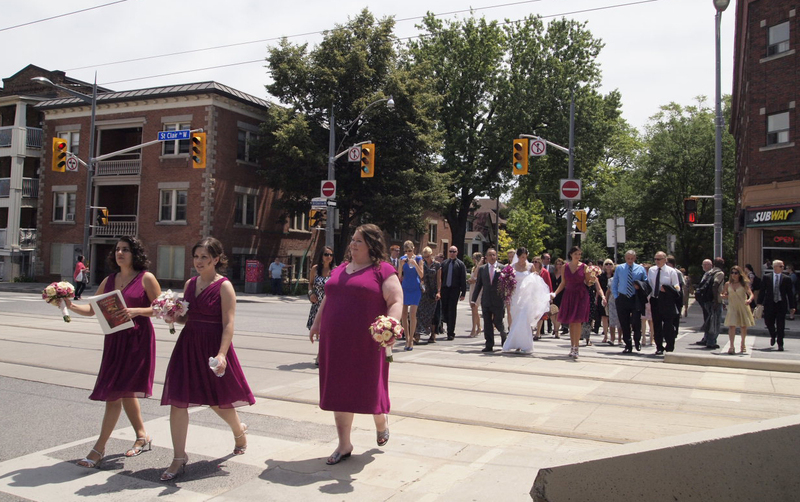 Today a contemporary urban young Canadian woman honours her tradition and asserts her place in our community by taking to the street. 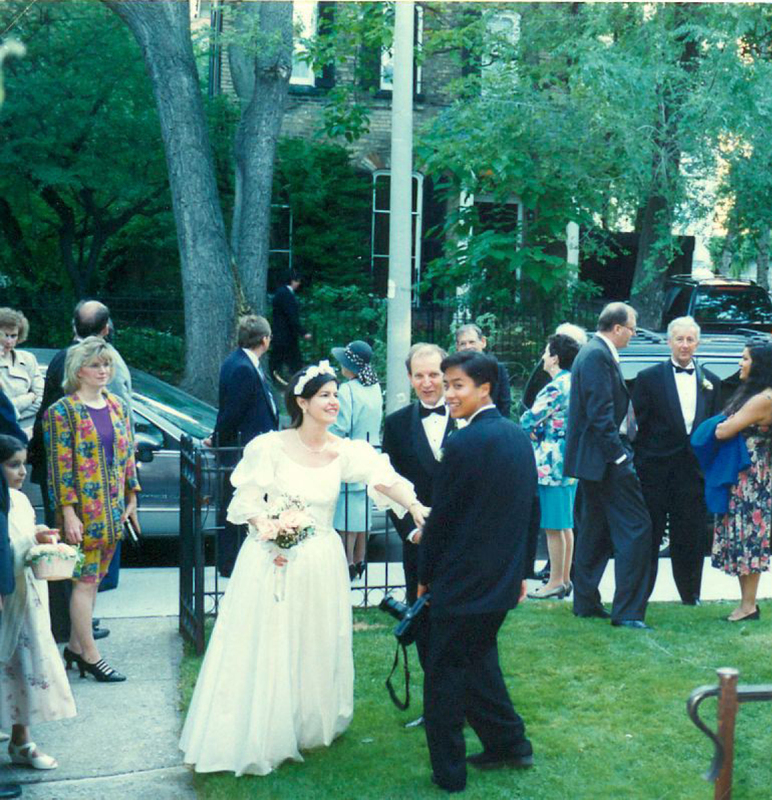 A number of years ago, after the marriage ceremony in the living room of our home on Hazelton Ave. in Toronto, we walked with 18 guests to the Arlequin restaurant at Avenue Road and Davenport (now closed) for the reception. Passing cars honked their horns and waved as I walked in my Laura Ashley meringue dress and John, my new husband, and his brother in tuxedos. Apparently, some tuxedos don’t come with pockets so John had no wallet to pay the bill at the end of the night. The chef said it could wait till we returned from our honeymoon. He didn’t know us very well and yet he was trusting. That’s a great Toronto story in itself! Maybe my wedding dress was more like a deflated meringue. How easily one forgets.